California Indian Legal Services and the California Tribal Court Judges’ Association strongly urge you to contact your California Senators and Congressional Representative and encourage them to enact permanent funding for California Tribal Courts. Tribal Courts situated in Public Law 280 (PL 280) states, such as California, have historically been denied tribal court and law enforcement funding by the Bureau of Indian Affairs (BIA). This lack of funding is based, in part, on the misconception that tribal judicial and law enforcement needs are being met by state courts and local law enforcement. California tribes know this is inaccurate, and that there are real and substantial unmet legal needs on their Reservations and Rancherias. Through a recent $10 million dollar appropriation, sponsored by Senator Murkowski from Alaska, for the first time, the BIA has been directed to comprehensively assess the needs of PL 280 tribal courts. It is imperative to procure permanent and sustainable funding for tribal court operations in California and other PL 280 states. Now is the time to educate your elected officials that California tribes should not be the second tier, and deprived the same benefits and funding shared by tribes in non-PL 280 states. This is more than an equitable funding issue- it is also a public safety matter that is long overdue for congressional action. Attached is a sample tribal letter, and you can use the following link to the House of Representatives directory http://www.house.gov/representatives to locate your Congressperson’s name and address. Should you have any further questions, please feel free to contact Dorothy Alther at dalther@calindian.org or (760)746-8941. Thank you. 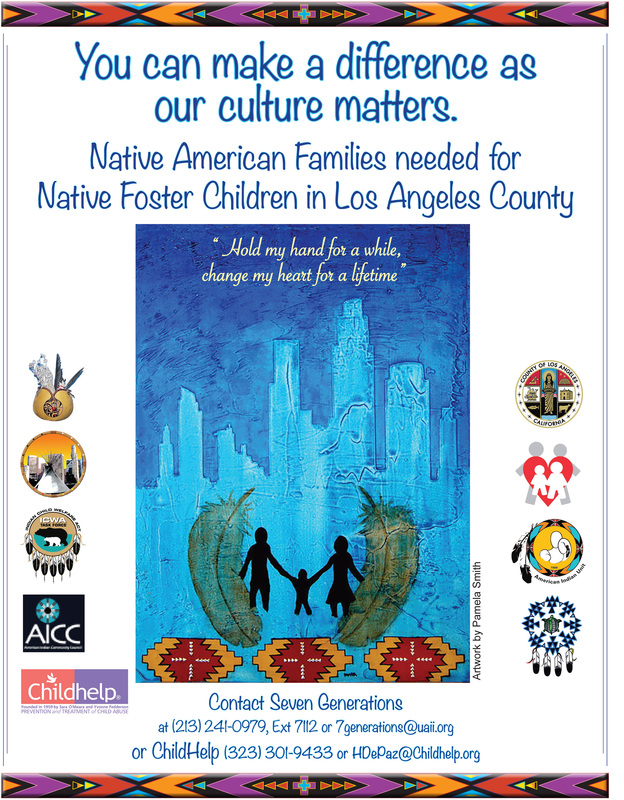 Good News: You can be a Native Foster Parent in Los Angeles County and make a Really Big Difference. Get started by attending a Community Informational Meeting on Saturday, August 27 from 11AM to 1PM. Event to Recruit Native Foster Homes in L.A.
http://www.calindian.org/wp-content/uploads/2015/09/CILSlogosquare.png 0 0 Nicole Scott http://www.calindian.org/wp-content/uploads/2015/09/CILSlogosquare.png Nicole Scott2016-08-15 20:35:582016-08-15 20:36:55Good News: You can be a Native Foster Parent in Los Angeles County and make a Really Big Difference.